With the improvement of the pace of modern people's life, the urban population has increased, the production and types of garbage have increased, and the difficulty of garbage disposal has become more and more serious. At present, the most common way of garbage disposal is landfill, but the landfill of the original garbage brings many problems, such as land occupation, impact on the surrounding environment, and pollution of groundwater. In the garbage, the recycling of used glass, waste plastics, etc. will have a higher value. Waste batteries are not classified and will cause great pollution to the environment. Therefore, the comprehensive treatment and utilization of garbage is very important. The comprehensive treatment technology of domestic garbage is the core to realize the harmless, reduced and resource treatment of garbage. 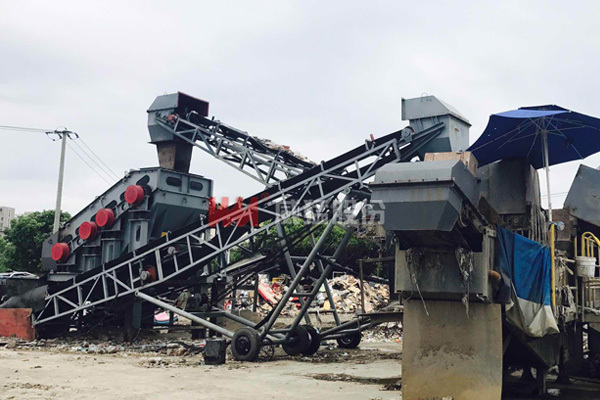 Its main purpose is to realize the separation, screening and crushing of different types, different sizes and different specific components of garbage. Effective separation, so that the part with high calorific value is incinerated, contains organic biochemical treatment, can be recycled for recycling, and can not be used for landfill disposal. The domestic garbage sorting complete equipment is a sorting system developed by Winner Group based on the characteristics of China's high-humidity mixed domestic garbage and the principle of maximizing recycling and recycling. The complete equipment of the process mainly adopts the garbage sorting shredder and the drum airflow sorting machine, which greatly reduces the manual sorting workload, and can effectively remove the organic matter, the combustible garbage plastic, the unbreakable metal object and the inorganic garbage in the domestic garbage. Four types of separation are achieved, and the drum screen also has a broken bag function, and the bag breaking rate reaches 85%. Compared with the traditional process equipment, the complete equipment saves investment, high sorting efficiency and maximum resource utilization. Garbage sorting has always been the bottleneck of waste treatment technology. 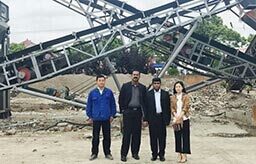 Whether it is incineration, landfill treatment or comprehensive treatment, many failure cases are caused by incomplete waste sorting, which makes the whole process impossible to process and the entire production line cannot normal operation. Through years of investment and research and development, Winner Group has launched a sorting processing equipment and production line for domestic garbage in response to this problem, successfully solving the problem of domestic garbage disposal.